* Tomas Butkevicius, 27, of Church Road, Boston. At Boston, in West Street, as a driver, caused a vehicle or part of it to stop in a toucan controlled area. £220 fine. £30 victim surcharge. £85 costs. Driving record endorsed with three points. * Joshua Smith, 28, of St Marks Terrace, Boston. At Boston, in Witham Town, drove while using a handheld mobile telephone. £220 fine. £30 victim surcharge. £85 costs. Driving record endorsed with six points. * Sandris Kozlovskis, 38, of London Road, Kirton. At Boston, in John Adams Way, drove without insurance. £660 fine. £66 victim surcharge. £85 costs. Disqualified from driving for six months. Driving record endorsed (six penalty points). At Boston, in John Adams Way, drove otherwise than in accordance with a licence. £220 fine. Driving record endorsed. * Shaun Lake, 40, of Maidens Road, Sutterton. At Sutterton, in Station Road, drove without insurance. £660 fine. £66 victim surcharge. £85 costs. Disqualified from driving for six months. Driving record endorsed. At Sutterton, in Station Road, drove otherwise than in accordance with a licence. £220 fine. Driving record endorsed. * Victors Stepans, 24, of Haven Meadows, Boston. At Boston, in West Street, drove without insurance. £660 fine. £66 victim surcharge. £85 costs. Driving record endorsed with six points. At Boston, in West Street, drove without a test certificate. £220 fine. * Carlton White, 58, of Peppie Close, Hackey. At Boston, on the A16, drove without insurance. £660 fine. £66 victim surcharge. £85 costs. Driving record endorsed with six points. At Boston, on the A16, drove otherwise than in accordance with a licence. £220 fine. Driving record endorsed. * Uldis Kuznecovs, 22, of Norfolk Street, Boston. At Boston, in Market Place, drove without insurance. £660 fine. £66 victim surcharge. £85 costs. Driving record endorsed with six points. * Cristian Baiculescu, 28, of Spilsby Road, Boston. At Boston, in Tawney Street, drove without insurance. £660 fine. £66 victim surcharge. £85 costs. At Boston, in Tawney Street, drove otherwise than in accordance with a licence. No separate penalty. Driving record endorsed. * Ryszard Blawicki, 34, of Hawthorn Road, Old Leake. At Boston, in Spalding Road, drove without insurance. £660 fine. £66 victim surcharge. £85 costs. Driving record endorsed with eight points. At Boston, in Spalding Road, drove otherwise in accordance with a licence and while using a handheld mobile telephone. Driving record endorsed. No separate penalties. * Cosmin Boldas, 33, Haycroft Street, Grimsby. At Sutterton, on the A17, drove without insurance. £660 fine. £66 victim surcharge. £85 costs. Driving record endorsed with six points. At Sutterton, on the A17, drove otherwise than in accordance with a licence. No separate penalty. Driving record endorsed. * Petras Skurdelis, 31, of Pen Street, Boston. At Boston, in Norfolk Street, drove without insurance. £660 fine. £66 victim surcharge. £85 costs. Driving record endorsed with six points. * Debra Killips, 44, of Corden Close, Skegness. At Boston, in Wainfleet Road, drove without insurance. £660 fine. £66 victim surcharge. Disqualified from driving for six months. Driving record endorsed (six penalty points). At Boston, in Wainfleet Road, drove otherwise than in accordance with a licence. No separate penalty. Driving record endorsed (six penalty points). * Morgan Porter, 19, of Bath Gardens, Boston. At Boston, failed to comply with the requirements of a community order by failing to attend planned unpaid work appointments. Order varied. New and varied requirements: Rehabilitation Activity Requirement. Continuing original requirements: Rehabilitation Activity Requirement and Unpaid Work Requirement. * Todor Petkov, 52, of Granville Street, Boston. At Lincoln, failed to give information relating to the identification of the driver of a vehicle when required. £660 fine. £66 surcharge. £85 costs. Driving record endorsed with six points. * Nygel Sylvester, 50, of Parthian Avenue, Wyberton. At Lincoln, failed to give information relating to the identification of the driver of a vehicle when required. £660 fine. £66 surcharge. £85 costs. Driving record endorsed with six points. * Andrzej Wal, 45, of High Street, Boston. At Lincoln, failed to give information relating to the identification of the driver of a vehicle when required. £660 fine. £66 surcharge. £85 costs. Driving record endorsed with six points. * Lloyd Cutter, 29, of Almond Close, Boston. At Lincoln, failed to give information relating to the identification of the driver of a vehicle when required. £300 fine. £30 victim surcharge. Driving record endorsed with six points. * Povilas Vaicikauskas, 27, of Red Lion Street, Boston. At Lincoln, failed to give information relating to the identification of the driver of a vehicle when required. £660 fine. £66 victim surcharge. £85 costs. Disqualified from driving for six months. Driving record endorsed (six penalty points). Vacys Ciparis, 42, of Dock Terrace, Boston. At Lincoln, failed to give information relating to the identification of the driver of a vehicle when required. £660 fine. £66 victim surcharge. £85 costs. Disqualified from driving for six months. Driving record endorsed (six penalty points). * Stanislav Iliev, 37, of Revesby, Boston. At Lincoln, failed to give information relating to the identification of the driver of a vehicle when required. £660 fine. £66 victim surcharge. £85 costs. Disqualified from driving for six months. Driving record endorsed (six penalty points). 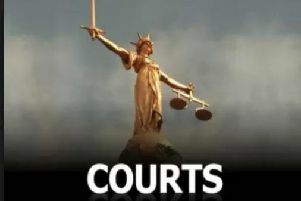 * Bernard Speed, 46, of Church Lane, Sleaford. At Boston, as a driver involved in an accident in Main Ridge East in which damage was caused to another vehicle, failed to stop. £660 fine. £66 victim surcharge. £85 costs. Driving record endorsed with seven points. At Boston, in Main Ridge East, drove without insurance and otherwise than in accordance with a licence. No separate penalties. Driving records endorsed. * Mark Spicer, 28, of Route Green Farm, Wrangle. At Boston, on four dates within a week of each other, committed fraud in that he dishonestly made a false representation, namely purchasing items on a company’s credit trade account, intending to make a gain, namely building supplies and equipment for himself. In each case, committed to prison for 14 weeks suspended for 18 months. £1,800 compensation. * Benas Klimasauskas, 28, of South End, Boston. Cases re-opened following conviction of an offence of driving without insurance and two counts of failure to give information relating to the identification of the driver of a vehicle when required. Convictions and sentences set aside. Licence endorsements to be removed. Cases adjourned. * Christopher Dolby, 62, of Willowmere Park, Hawthorn Hill, Dogdyke. Case re-opened following a conviction for the offences of driving without insurance and otherwise than in accordance with a licence. Convictions and sentences set aside. Licence endorsements to be removed. At Coningsby, on the A153, drove without insurance. No totting disqualification due to mitigating circumstances. £415 fine. £41 victim services. £85 costs. Driving record endorsed with six points. At Coningsby, on the A153, drove otherwise than in accordance with a licence. No separate penalty. Driving record endorsed. * Sandris Kozlovskis, 38, of London Road, Kirton. Cases re-opened following conviction for the offence of failing to give information relating to the identification of the driver/rider of a vehicle when required. Convictions and sentences set aside. Licence endorsements to be removed. At Lincoln, failed to give information relating to the identification of the driver of a vehicle when required. £660 fine. £66 surcharge. £85 costs. Disqualified from driving for six months. Driving record endorsed (six penalty points). * Valdas Kubelskas, 52, of Parsons Drive, Boston. Case re-opened following conviction for the offence of driving without insurance. Convictions and sentences set aside. Licence endorsements to be removed. At Boston, in Market Place, drove without insurance. No totting disqualification due to mitigating circumstances. £270 fine. £30 victim surcharge. £85 costs. Driving record endorsed with six points. Costin-Alin Rafaila, 30, of Windsor Bank, Boston. Case re-opened following conviction for the offence of driving without insurance. Convictions and sentences set aside. Licence endorsements to be removed. At Grantham, in Manthorpe Road, drove without insurance. £660 fine. £66 victim surcharge. £85 costs. Disqualified from driving for six months. Driving record endorsed (six penalty points). * Artur Semakov, 33, of Spain Lane, Boston. Case re-opened following conviction for the offence of driving without insurance. Convictions and sentences set aside. Licence endorsements to be removed. At Spalding, in West Marsh Lane, drove without insurance. £660 fine. £66 victim surcharge. £85 costs. Disqualified from driving for six months. Driving record endorsed (six penalty points).